Robot-assisted training may be an effective therapy to improve motor function in the lower limbs of patients with multiple sclerosis (MS), and help in rehabilitation, according to the study “Robot-Guided Rehabilitation Improves Sensorimotor Functions in Lower-Limb Impairments of Individuals with Multiple Sclerosis,” presented at the Consortium of Multiple Sclerosis Centers (CMSC) 2016 Annual Meeting, June 1-4, in Maryland. Patients with MS often experience muscle weakness, fatigue, imbalance, and sensory loss in the lower limbs, which ultimately may lead to locomotion impairments. Decreased motor control of the ankle is a common symptom in patients which contributes to increased risk of falls during ambulation. According to the team, the results suggests that rehabilitation approaches focused on the ankle should be considered to improve patients’ mobility and safety. Researchers at the Rehabilitation Institute of Chicago and Northwestern University in Chicago, addressed whether robot-assisted ankle intervention was effective at reducing patient’s disability and improving balance and walking movements. Six patients with MS participated using an ankle robot for combined ankle passive stretching and active movement training. Patients received 18 sessions of robotic training three times weekly for six weeks. Motor function was assessed before treatment, after treatment, and at 6-week follow-up. After 6 weeks of robot-assisted ankle intervention, patients had an increased range of active and passive ankle bending. The muscles located in the lower leg that act on the ankle were also found to benefit from the treatment. 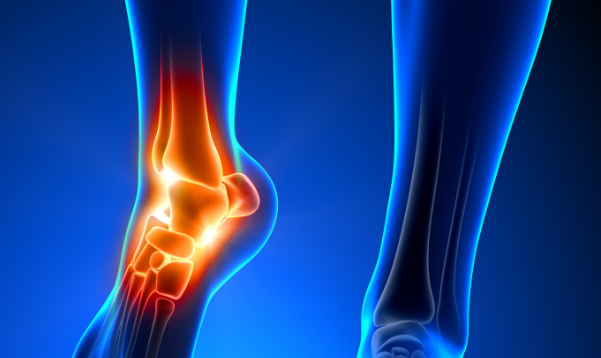 Both the dorsiflexor muscle which flexes the ankle, and the plantar flexor muscle which extends the ankle, had increased strength after robot-assisted therapy. Clinical assessments of balance and motor function, including Selective Control Assessment of the Lower Extremity, Berg Balance Scale, 6-Minute Walk Test, and 10-minute walk test, all showed significant improvements after the training. All improvements were maintained at the 6-week follow-up. The investigators believe that robot-assisted intervention is an interactive and motivating therapy that engages the patients and may be an effective approach in the rehabilitation of MS patients with lower limb motor deficits. Larger studies will be performed to further address the beneficial effects of the treatment and durability.